SIMPLY CHARMING PATTERSON PARK HOME WITH 3 FINISHED LEVELS, ROOFTOP DECK, & OFF STREET PARKING! Features include an open floor plan, spacious living room & dining area w/ hardwood floors & exposed brick, large kitchen w/ ss appliances, granite counters, & tin backsplash, upper level w/ 3 bedrooms & 1 full bath, finished basement w/ family room or 4th bedroom, and full bath w/ whirlpool tub, outside access to the rooftop deck w/ sweeping views, and desirable off street parking! 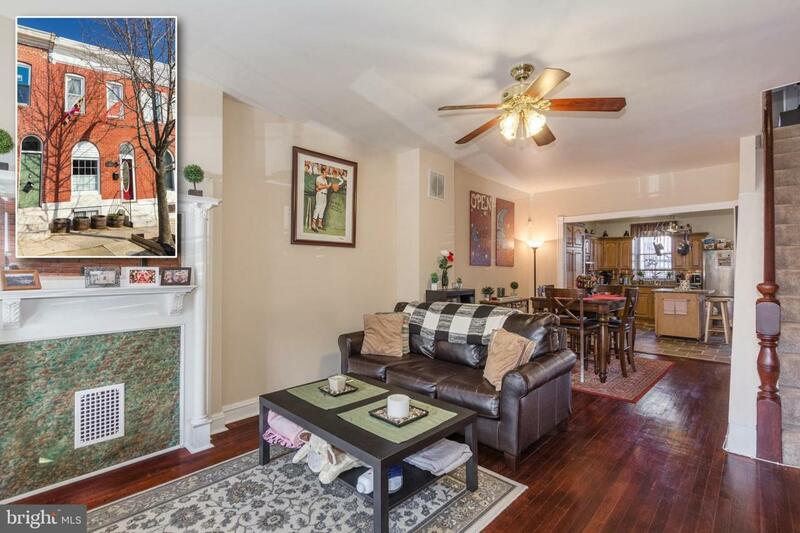 Conveniently located close to Patterson Park, Canton, & Johns Hopkins Hospital!